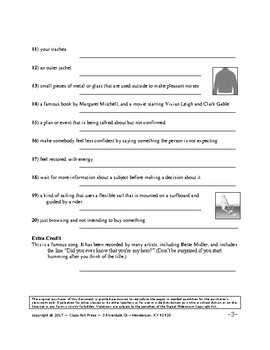 Have some vocabulary fun with this no-prep bell-ringer activity. 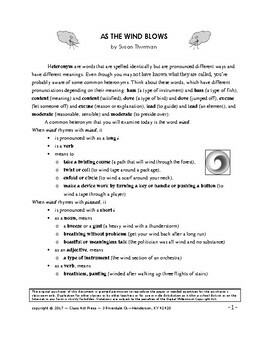 Many idioms and other expressions contain the word WIND, and each of the 21 answers in this printable 3-page activity uses this word. 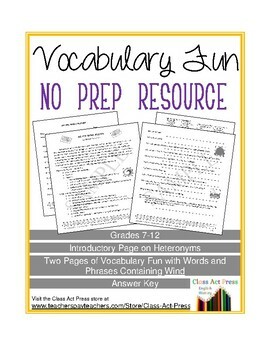 Students read the definitions and then determine what word or phrase is appropriate.